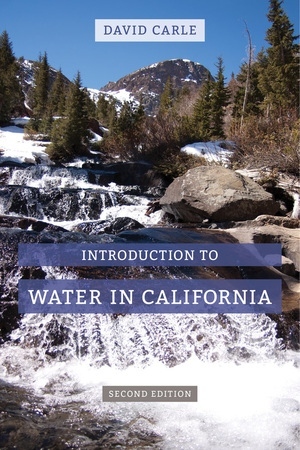 This thoroughly engaging, concise book tells the story of California's most precious resource, tracing the journey of water in the state from the atmosphere to the snowpack to our faucets and foods. Along the way, we learn much about California itself as the book describes its rivers, lakes, wetlands, dams, and aqueducts and discusses the role of water in agriculture, the environment, and politics. Essential reading in a state facing the future with an overextended water supply, this fascinating book shows that, for all Californians, every drop counts. David Carle is a former park ranger and the author of California Natural History Guides about water, fire, air, and soil (UC Press), as well as other books in water history and management, including Drowning the Dream: California’s Water Choices at the Millennium and Water and the California Dream. His most recent UC Press book is Traveling the 38th Parallel: A Water Line around the World (2013). Lemonade from Lemons: Is Desalination Viable?